This is the second article in a series by Kate Rope, an award-winning journalist who specializes in self-care. Please check back each month for more insight and advice on ways to take care of you. Few things in life can affect our health and well-being as much as getting—or not getting—enough sleep. And yet most of us take this powerful prevention method for granted. I know I used to. It wasn’t until I embarked on a yearlong journey to discover how to take better care of myself that I noticed how critical good sleep was to my well-being. When I didn’t get proper rest, the anxiety I’m prone to bubbled up, and I looked at life more pessimistically. When I got enough, I bounced back from setbacks and felt more grounded, less irritable (read: snapped at my kids less), and happier. I also didn’t have to caffeinate myself through my usual afternoon slump, and I fell asleep easier at night (something I’ve never been good at). But I know how easy it is to take sleep for granted or to think there is no way being well-rested is compatible with our modern-day pace of life. The thing is, sleep is actually one of the best tools we have to manage the stresses of modern life, and getting enough of it can radically improve our emotional well-being. I know this, because I noticed the difference it makes. Of course, I’m a case study of one (not exactly the gold standard for scientific research), so I reached out to sleep experts to explain what the science tells us about the importance of sleep and easy ways we can get more of it. “It’s surprising that people don’t automatically connect sleep with health and well-being because it is one of the most fundamental things you have control over to promote health and well-being,” says Saul Rothenberg, PhD, a psychologist and behavioral sleep medicine specialist at Northwell Health’s Sleep Disorders Center. Sleep is the only time your body is able to focus almost exclusively on repairing and restoring itself. Your immune system cleans house by dealing with all of the pathogens you were exposed to the previous day. More than a half dozen hormones rise and fall in an orchestrated pattern during sleep to help your body function normally during waking hours. Your brain is busy consolidating memories and the things you learned yesterday. And then there’s your mood. “There is evidence that the part of your brain that does the work of regulating negative emotions actually does get fatigued by not having enough sleep,” says Nicholas Forand, PhD, assistant professor in the department of psychiatry at the Donald and Barbara Zucker School of Medicine at Hofstra/Northwell. And, big picture, consistently getting less sleep than you need is associated with an increased risk of several chronic and serious health problems such as high blood pressure and diabetes. It varies, but research finds “two-thirds of the population need between seven and nine hours of sleep,” says Dr. Rothenberg. That means that most of us “should aim for at least seven hours of sleep a night,” says Dr. Rajan. To figure out if you are meeting your personal sleep needs, Dr. Rothenberg offers one simple, but radical-sounding test: “If you use an alarm clock to wake up, you’re not finished sleeping.” Another sign that you are sleep deprived: sleeping longer on weekends or vacations, because your body is trying to “catch up." Chances are you won’t pass either of those tests, but don’t beat yourself up. “Almost everyone is sleep deprived,” says Dr. Rajan. We may not even realize we're sleep-starved because we have ways of compensating for insufficient sleep, says Dr. Rothenberg. Drinking caffeine or having a demanding job might help us go through the motions of our day and stay awake. Our brain can also “step up its wake production,” Dr. Rothenberg explains. Sometimes our brains become so good at this that “our wake-promoting systems go into overdrive,” making it hard for us to fall asleep or get back to sleep when we wake in the middle of the night. And we may not notice any of this. In studies, people who have their sleep restricted experience losses in cognitive function but don’t report feeling sleepy. “People’s perception of their impairment is very weak,” says Dr. Rothenberg. If you notice that you can keep yourself going as long as you are engaged in an activity, but that you easily fall asleep in a quiet moment or while watching TV, that’s a signal that your body is more tired than it is letting on most of the day. Prepare your body for sleep. 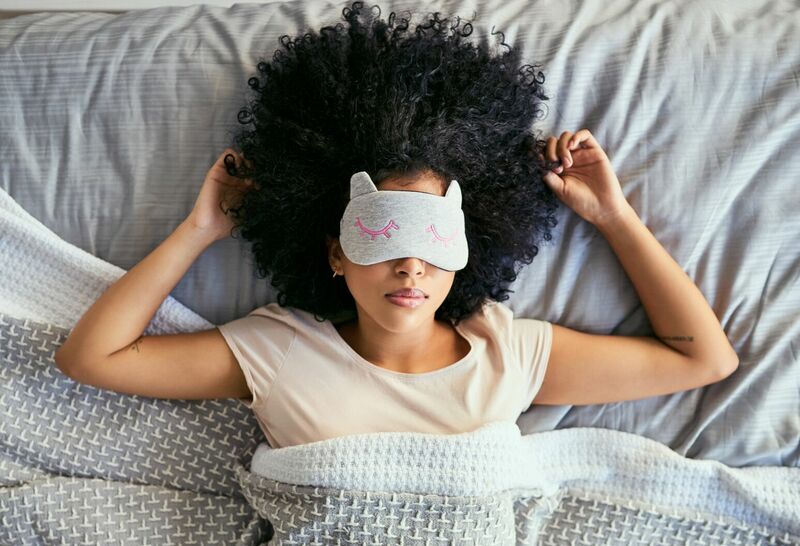 By having a wind-down routine, doing it in the same order every night, and beginning an hour before bed, you are telling your body it’s time to sleep, says Dr. Forand. “I try to turn off the TV, my phone, tablets—all screens—an hour or so before bedtime, get in bed a half hour before I want to be asleep, and then read for about five minutes before turning off the light,” he says. Stay away from blue light before bed. 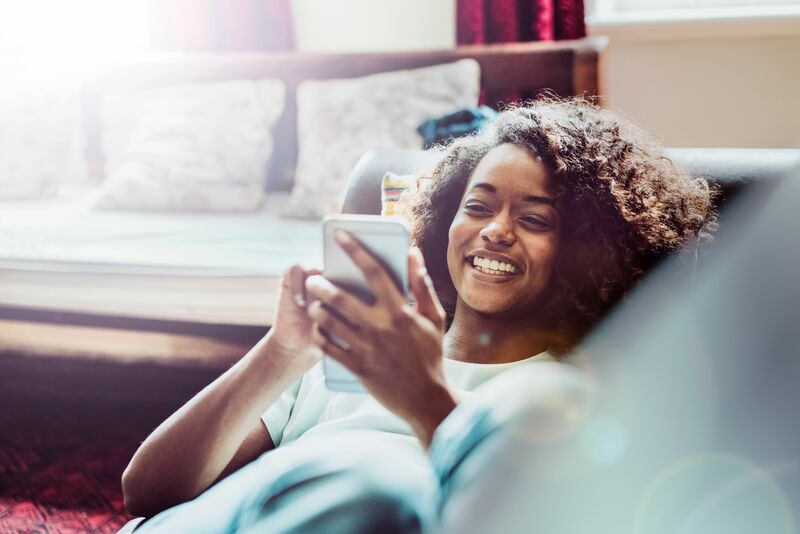 The light emitted by laptops, phones, televisions and even Kindles “suppresses your melatonin and can delay your sleep onset,” says Dr. Rajan. Shoot for an hour without screens if you can. Sleep when you’re in bed. “You want your bed to be associated with sleep,” says Dr. Rothenberg. No working, scrolling your phone, or watching TV while you are trying to fall asleep. It also means not falling asleep in other places (like on the couch in front of the TV) and then transferring to your bed (when you are likely to be refreshed from your couch nap and have a hard time falling back asleep) or staying in bed when you can’t sleep. Get up when you can’t nod off. We all experience multiple wakings as we complete sleep cycles over the course of the night. But, for most of our lives, we fall back to sleep so quickly we don’t remember them. Unfortunately, as you age, these breaks become more noticeable and that’s when the 3am worries wiggle their way into your mind and—BOOM!—it’s 4:30am and I AM NEVER GOING BACK TO SLEEP! As fun as that sounds, try something different. If you wake in the middle of the night and have a hard time falling back asleep, leave the bedroom, go do something relaxing somewhere else in the house and return to bed when you feel sleepy. Pay attention as your mind dwells into the to-do list or the worries or the rehashing of that thing your co-worker said. “If you catch yourself dwelling on stressful thoughts, go back to something neutral so you can let the biological systems that promote sleep do their job,” says Dr. Rothenberg. Try diaphragmatic breathing, progressive muscle relaxation (in which you systematically tense and then release muscles starting at one end of your body and moving to the other), or guided imagery by focusing on something like a pleasant memory from a vacation. You want to be “distracted enough that you are not thinking ‘I’m awake,’ but not so engaged that you can’t fall asleep doing it. “Anything that gets you sleepy is good.” Dr. Rothenberg suggests practicing these techniques while awake so you’ll be a pro when you really need them in bed at night. Why can’t I just take a pill and call it a night? The problem with sleep medications, whether over the counter or prescription, is that “they only work for a little while, sometimes you need more and more to fall asleep, and they can become habit forming,” says Dr. Forand. “If you try all these things, there’s a pretty good chance it will help,” says Dr. Forand. But if it doesn’t, if you are sleeping enough but still feel sleepy in the day, or if you experience any breathing problems during sleep such as snoring, gasping, or choking, talk to your primary care provider to rule out any medical issues. Meet Dr. Preethi Rajan and Dr. Nicholas Forand. Read more advice from writer Kate Rope on how to care for YOU. Concerned you might have a sleep disorder? Make an appointment to see a specialist at our Sleep Disorders Center.